Borage Liquid Gold by Health From the Sun provides nutritive support for skin and joints for improved condition and reduced inflammation. 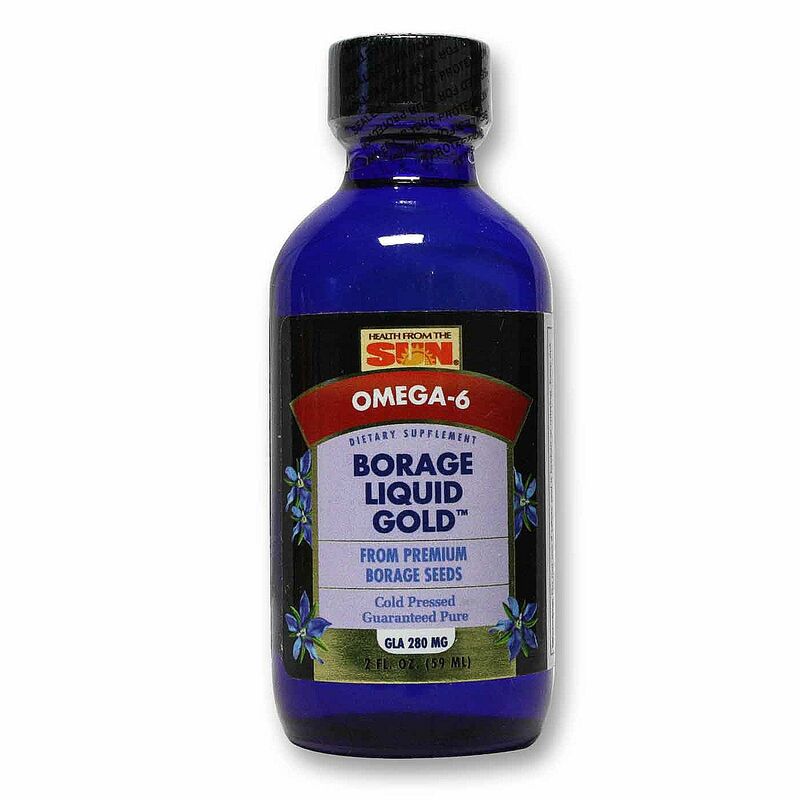 Borage Liquid Gold is rich in gamma linoleic acid (GLA), an omega-6 fatty acid known to support the tissues and structure of the skin and joints. 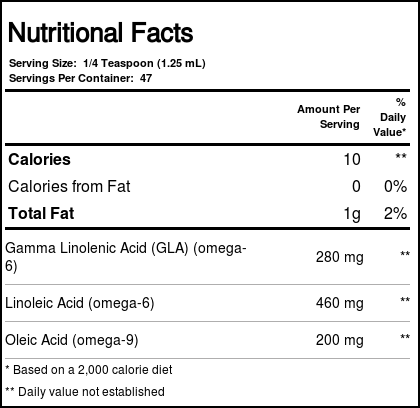 This dietary supplement can be taken on its own with a spoon or sprinkled on foods for easier ingestion. This oil from Health From the Sun can also be used topically on the skin, providing deep moisture for the skin to heal and protect it. Borage Liquid Gold, like many other Health From the Sun products, can be found at eVitamins. Get on the road to healthier joints and skin today! Warnings: Keep out of the reach of children. Refrigerate after opening. Notes: Borage Liquid Gold is extracted without chemical solvents like hexane and is independently tested to guarantee truth-in-labeling and product quality. 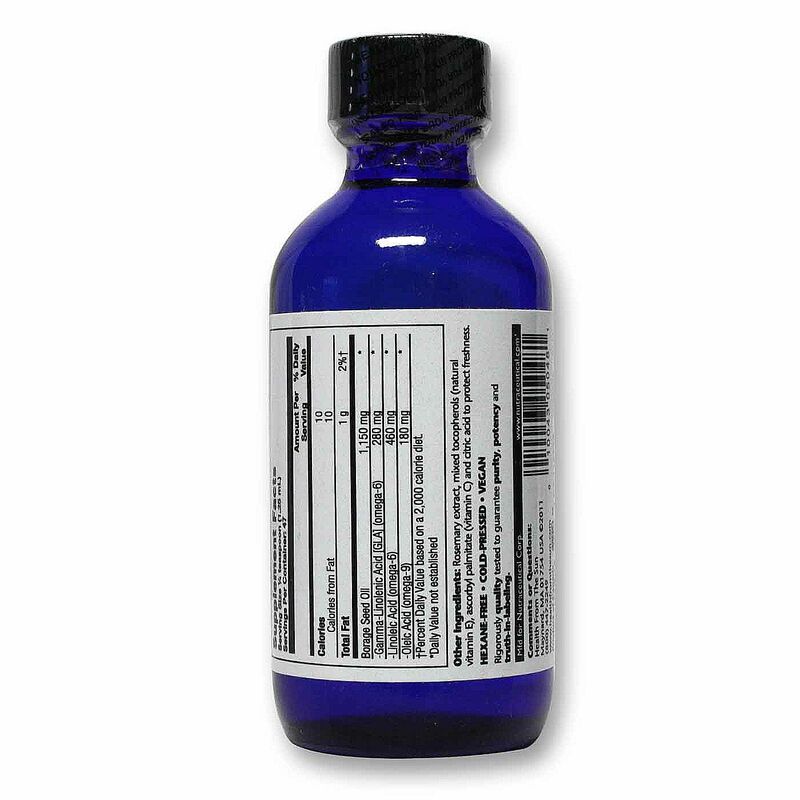 Recommended Use: Take 1/4 tsp daily.